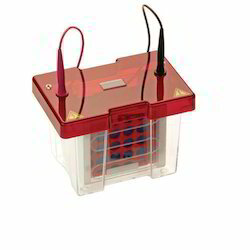 Owing to our technological advancement, we have been able to offer high quality Laboratory Products. These are scientific products made under the vigilance of our quality analysts. With the availability of these products, we cater to the needs of various hospitals and medical institutes. - Electric Supply : 1φ 230 V AC, 50 Hz. High school and general chemistry lab equipment. We are engaged in offering Production Technology Lab. Distance Protection Relay Trainer has built in requisite relay testing kit typically consisting of RL Transmission Line (125Kms / 250kms), trip relay logic etc. The Trainer needs a few set of associated relay testing panels (7-8 nos. typically) which are mounted in a light weight sturdy aluminum profile flat demo panel system. Tachistoscope Gravity (Vertical Single Shutter) This exposes the card for a fixed duration of time. Test Piece Diameter: 25 ( +0.5 -0.0)mm. Distance From Tip Of Nozzle To The Bottom Of Test Piece: 12.5 + 0.5 mm. Having a wooden board made of wood and fixed within a wooden slotted frame of over all size 75x70 cms. Four frictionless pulleys are adjustable in the slots of the frame and frame is provided with suitable arrangement for fixing it to a wall. The unit is complete with four hangers and 16 iron nickelled slotted weight of 50 gms each. 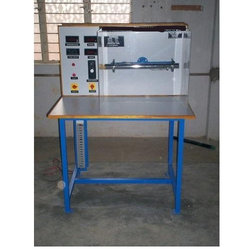 We are providing a wide range of Metallurgical Laboratory Equipment. This equipment is applauded by clients for accuracy, sturdiness, durability, handiness and quality of material. The offered products are simple and convenient, and are extensively used for rough and fine polishing of metallurgical specimens. For mounting uneven specimens in plasticine clay (when using an erect stage microscope).